It could rival most Hollywood adventure films. The ship got caught up in the ice in Antarctica for nine months and eventually was destroyed by the shifting ice. Then for 5-months the crew survived living on the ice in temperatures that mercury thermometers can’t read and with severe winds that push effective temperatures even lower. Their only hope was to seek shelter by carrying their life boats over perilous ice until they could launch them and sail to Elephant Island. They were short on food and could only take the bare essentials. Hurley was ordered to leave his precious glass plates behind. But as they were leaving, Hurley jumped into waist deep slushy icy water to retrieve his images. 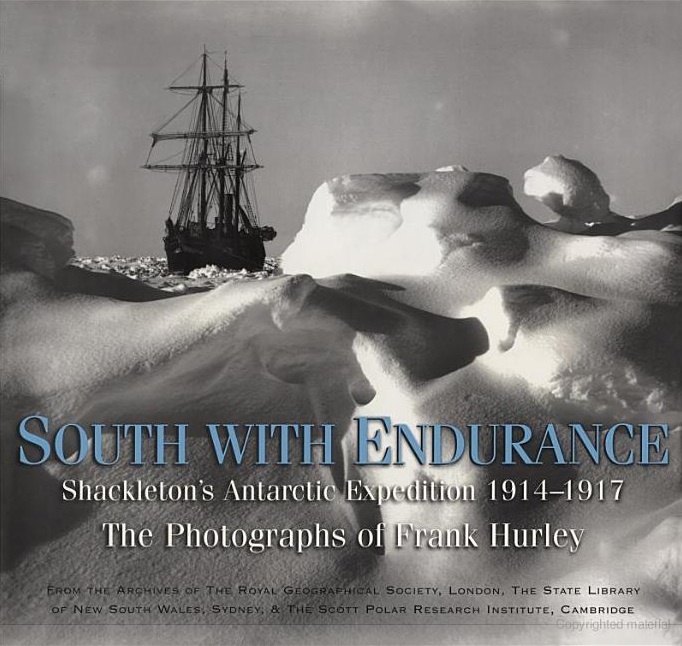 Because of Hurley’s passionate defiance, Shackleton put the issue up to the entire crew for a vote… since the entire crew would have to sacrifice food in order to keep the glass images. The crew voted to let Hurley bring his glass plates on their flight for survival. This book displays Hurley’s photographs. Your Comments are much appreciated.